Almost 30 years ago we transitioned our cowherd to Beefmaster and Beefmaster crosses. It has always been our intent to raise and promote good grass cattle. 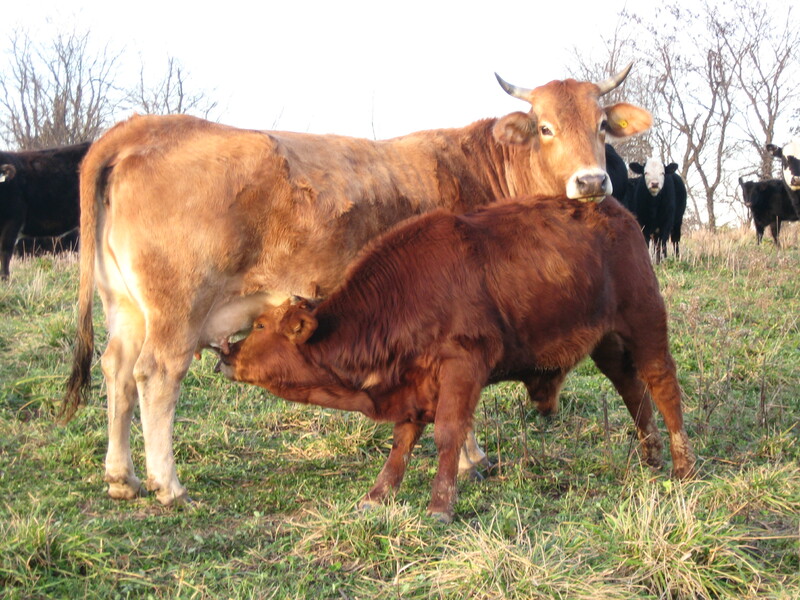 The Beefmaster Breed was the only breed of American cattle developed specifically for efficiency and productivity on grass. I was further impressed with the Lasater Famliy (founders of the breed) and their philosophies regarding Nature, balance, and how cattle are an integral part of that alliance. We have enjoyed their friendship and mutual exchange of ideas and thoughts for many years. For 75 years Nature has shaped Beefmaster Cattle. Good efficient grass cattle are not defined by specific color or if they are polled or have horns. Good grass efficient cattle are defined by there inherent genetics to convert grass to meat. As this becomes apparent through successive generations, body type and color are irrelevant.